Not sure if you’ve heard, but you’re in luck – Rebecca is actually being readapted, and Danish director Nikolaj Arcel is attached to the project. I’m also of the opinion that Rebecca deserves a readaptation, and I also wrote a post about it. The Hitchcock film is a personal favorite of mine, but today’s filmmakers wouldn’t be confined by the production code as Hitchcock was. And I like your idea of Jude Law for Maxim! I did not know that so thanks for the info! That director doesn’t ring a bell so I’ll have to look him up. 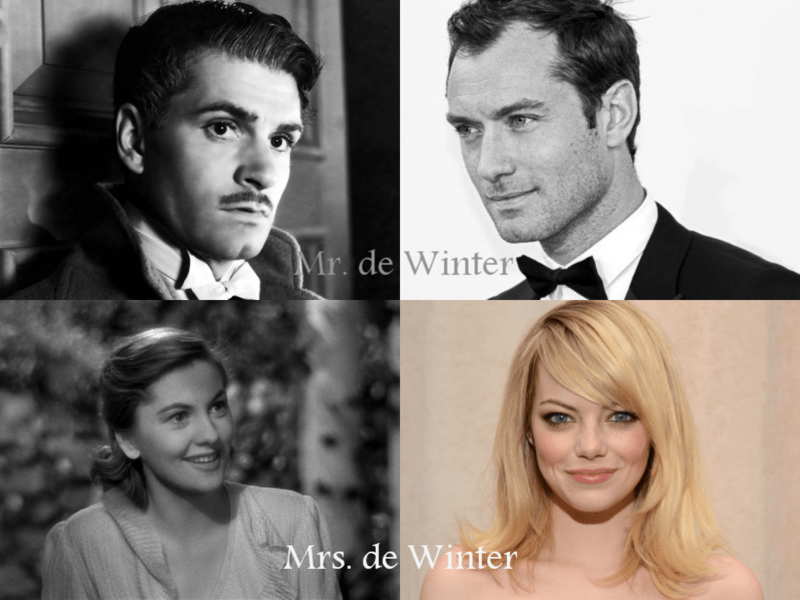 I think Jude Law is about right, but I’m not sure about Emma Stone. Carey Mulligan, maybe? But I actually think the Hitchcock picture is great the way it is. Now, My Cousin Rachel might need another look. Carey Mulligan might be a good choice; the only thing I have seen her in is Pride and Prejudice. I have a lot harder time thinking of what girls should play roles vs guys. It is a good film, and I admit I have not seen it in a while, but I thought since it gets overlooked it might me be a good one to redo. Check Carey out in An Education. Although she plays a fairly knowing schoolgirl in that movie, I think she could do innocent. She also looks very young. She’s an excellent actress. I thought with the range of movies Emma has done she probably could do it, but there certainly might be someone else who would fit the role better. I might be selling her short though! She is a fun actress, I have liked her in everything I have seen her in! I love Hitchcock’s Rebecca. I’ve also just finished reading book…Joan Fontaine was so spot on as the second Mrs. de Winter. I don’t mind new adaptations, just that it would be compared with a Hitchcock. 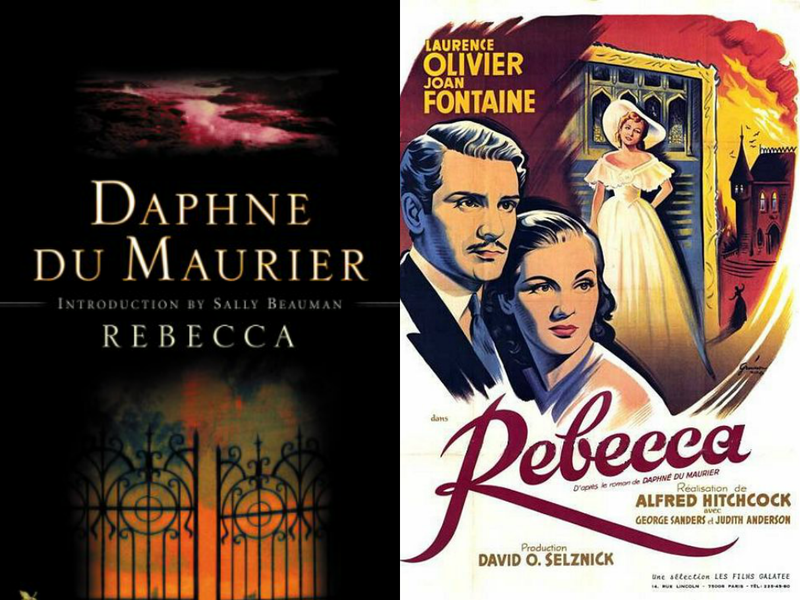 There was actually a newer Rebecca adaptation, a TV movie in 1997, I haven’t seen that one. It has Charles Dance as Maxim. I think Jude Law would be a fine Maxim too…or Clive Owen or Jeremy Northam? But I’m with WHATMEREAD, Emma Stone is a bit off I think…she’s so great in comedy though. Hmm, maybe Alicia Vikander, Mia Wasikowska or Saoirse Ronan as the second Mrs. de Winter? I really enjoyed it too, but I don’t remember it having the same “wow” impact on me as the other movies of his I have seen. Of course, I saw Rebecca in high school, Psycho in college (in a film studies class), and Rear Window after college, so age could be playing a part in my appreciation for the film. I think someone might could make it about as good as the original, but it would really have to be the right person. And like I said, I’m not sure who that is! Clive Owen could be a good Maxim as well. I might be all wrong about Emma Stone, I just thought she looked the part and has played a decent range of parts. Even though I actually haven’t seen any of Saoirse Ronan’s movies I could see her doing it! Nice to know I’m not the only one who has thought about it! Yay, and then you’d become a fan!